Welcome to Be Child Cancer Aware, the home of the original childhood cancer signs and symptoms awareness card and I-Phone application; the Beads of Courage UK programme and our BOC seasonal challenges. 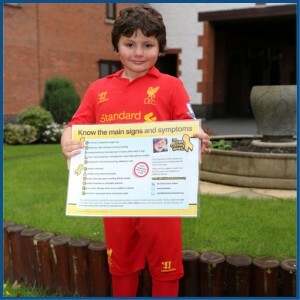 BE CHILD CANCER AWARE was the first UK charity to produce and deliver an awareness card. It displays the most common signs and symptoms found in children, when some form of childhood cancer is present. We are the exclusive sponsor and provider of the oncology and haematology programme, and we are honoured to be working in partnership with Beads of Courage USA and Beads of Courage UK. The programme is currently in more than 80 hospitals around the UK, bringing strength and support to more than 5000 children and their families, as they face childhood cancer. BOC provides a physical journal for a child going through treatment, and gives the child a voice and understanding, helping them articulate to others the journey they are taking. This brings a greater understanding and in turn a greater awareness of childhood cancer. 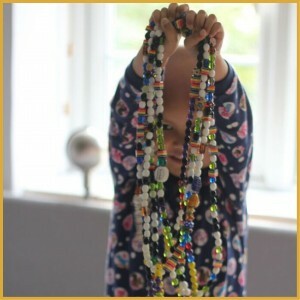 We run fun challenges throughout the year, on our Facebook page for children to take part in with their beads of courage. Siblings, who have the Beads of Courage sibling packs, are also welcome to join in. 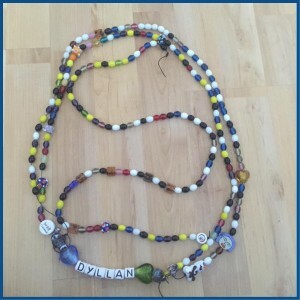 They earn extra special beads for their efforts, and it is helping form a community between the children and families which gives a greater support network, and assurances you feel when you know you aren’t alone.